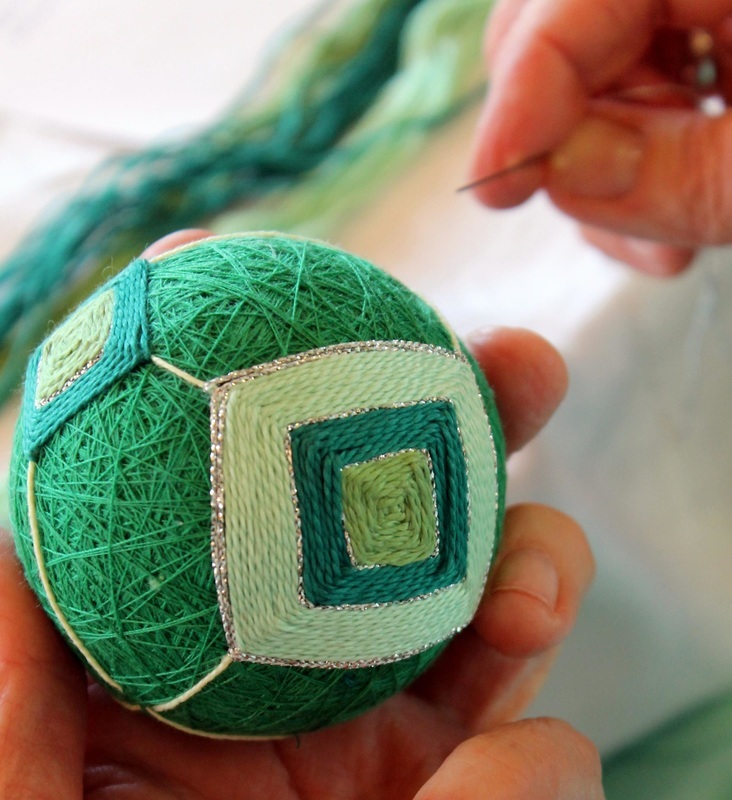 Originating in Japan, Temari balls were originally made for children to play with, but ultimately became art objects with stitching becoming ever more elaborate. 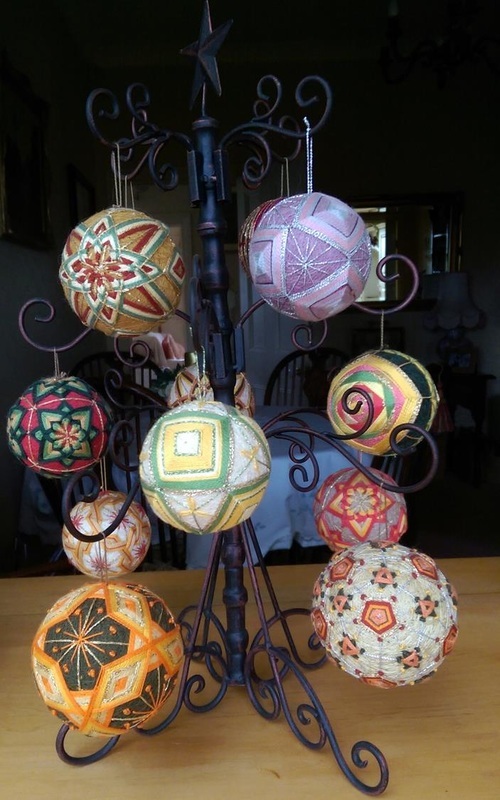 Balls would be made from pieces of silk fabric before being wrapped and embroidered. Beginner's workshop - embroidering the design.